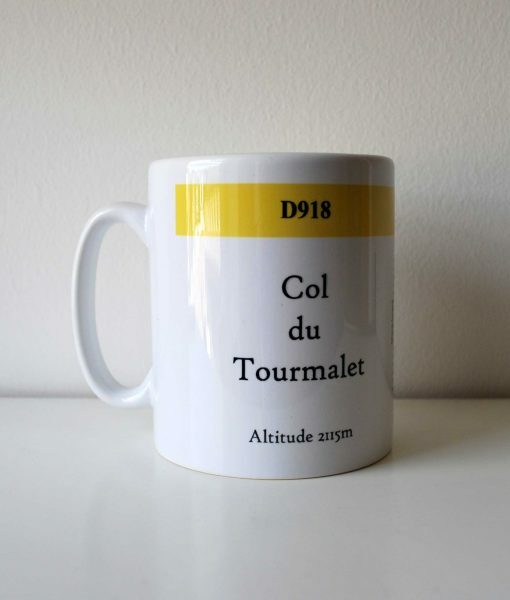 Tackled Tourmalet? 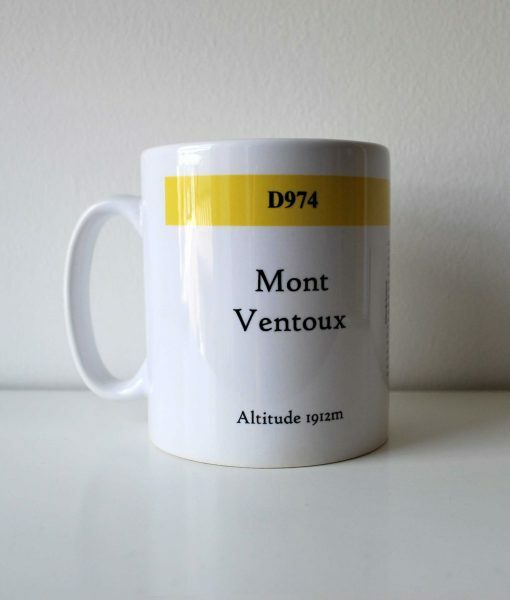 Scaled Ventoux? 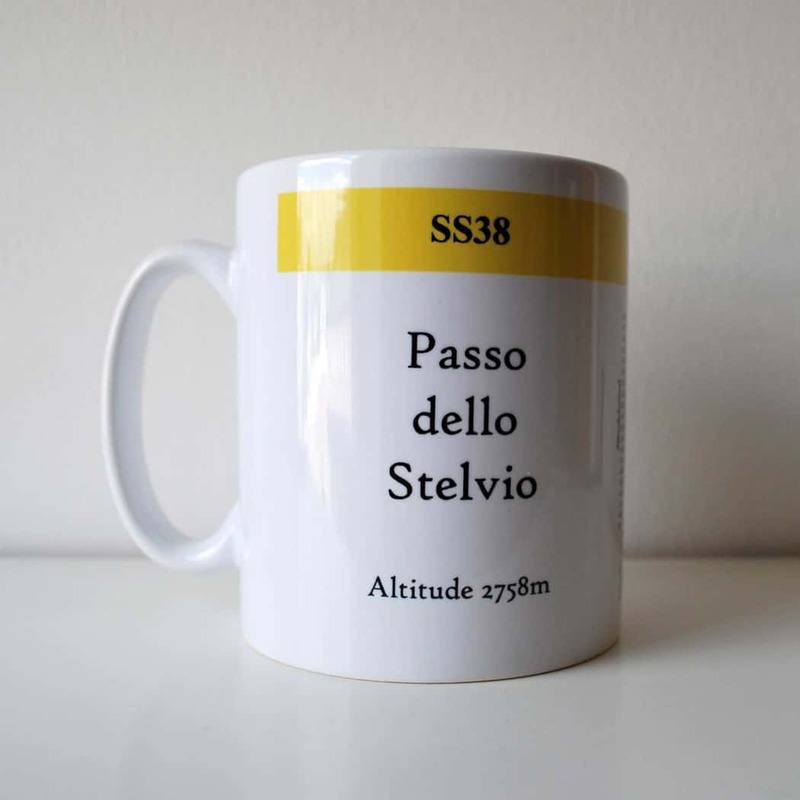 Struggled up Stelvio? 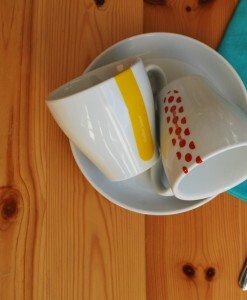 If you have you need two things ? 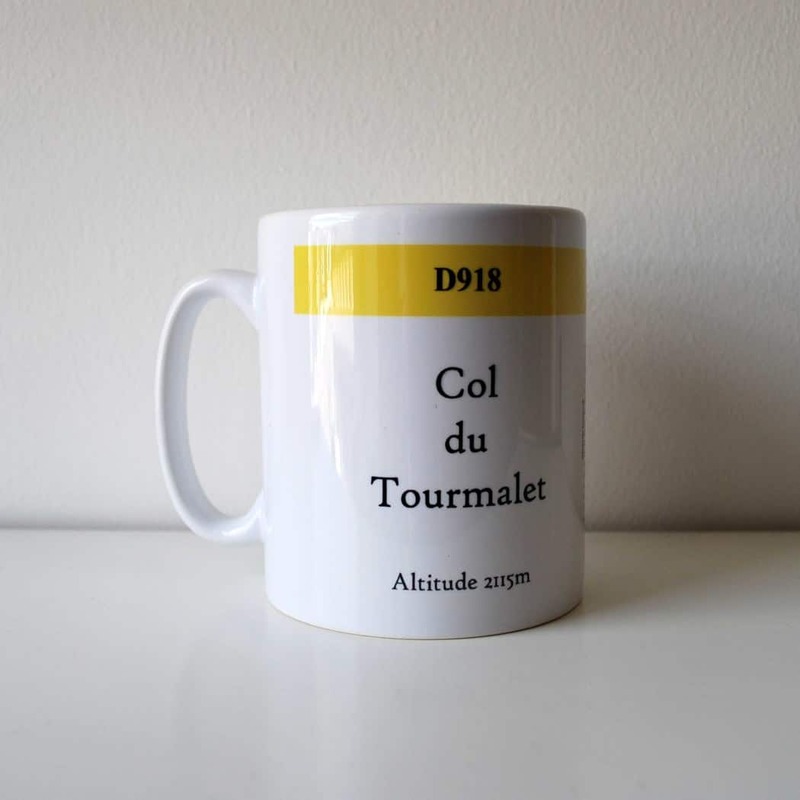 one is a good cuppa, the other is a memento or souvenir of your triumphant victory (or painful defeat). 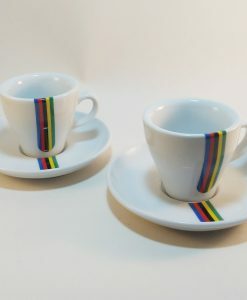 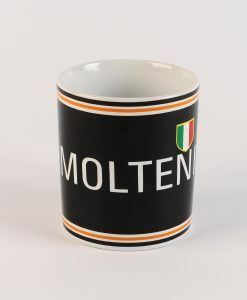 These striking mugs?combine both into one bespoke cycling gift or souvenir for the tea?drinking warrior in your household. 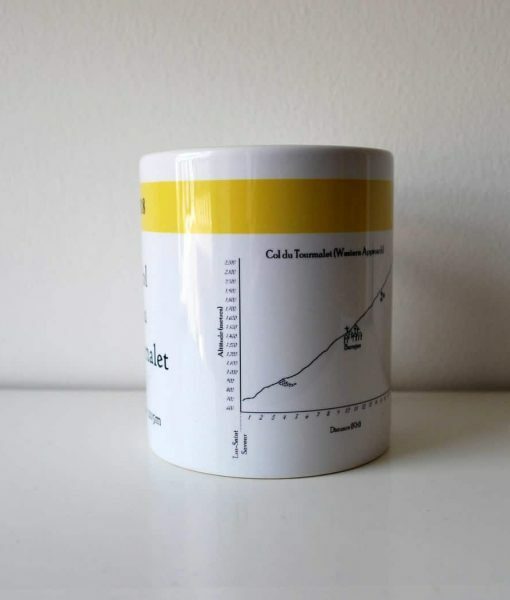 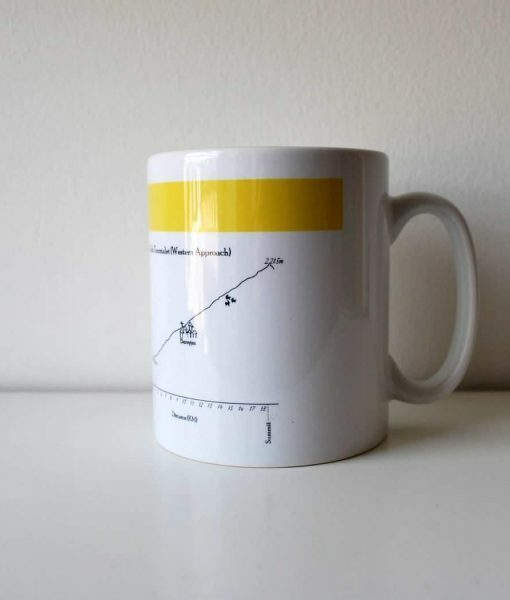 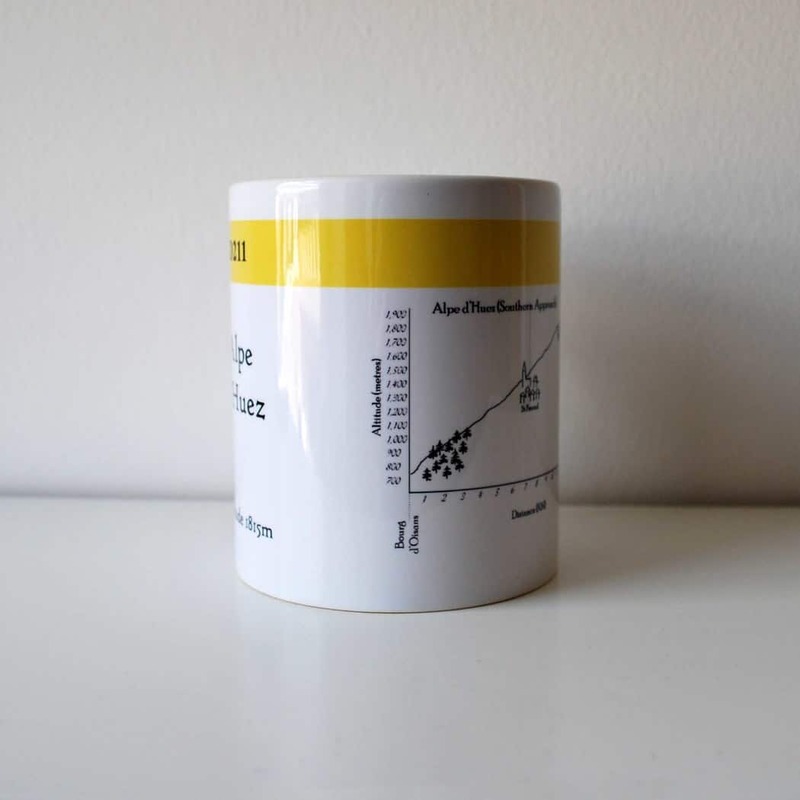 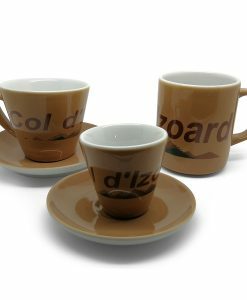 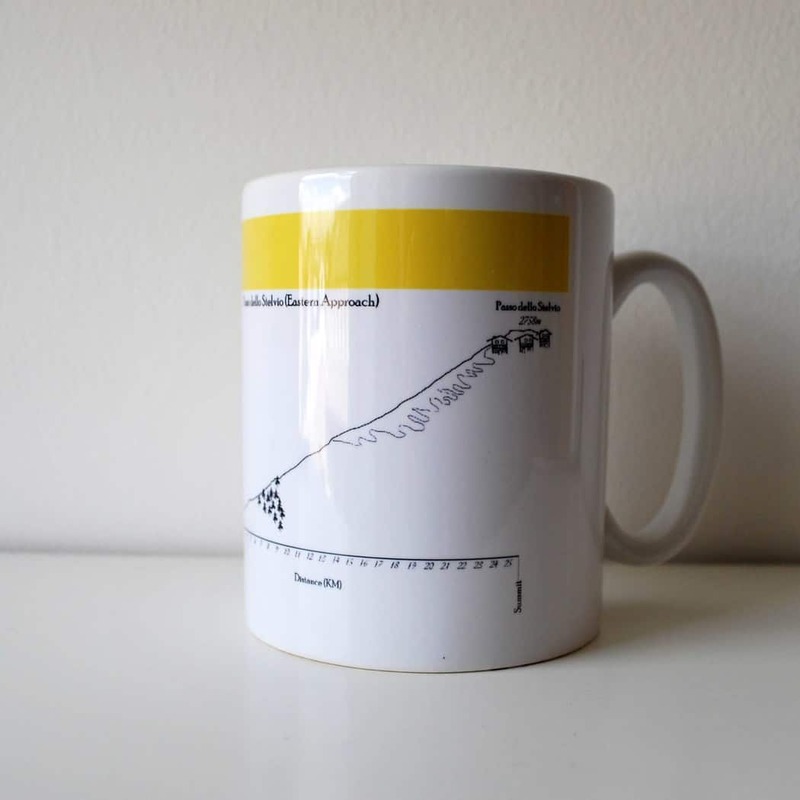 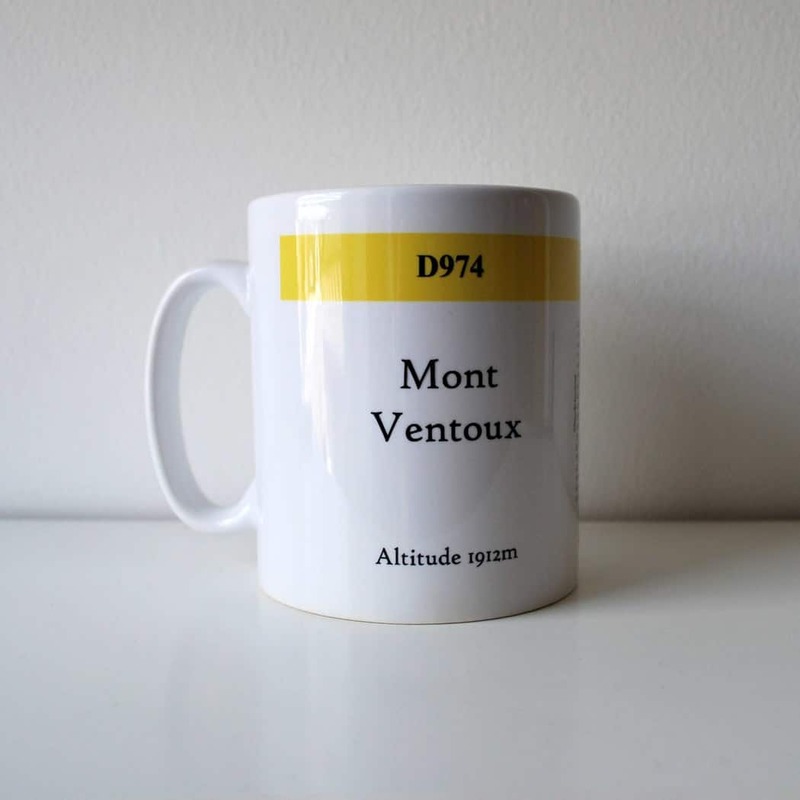 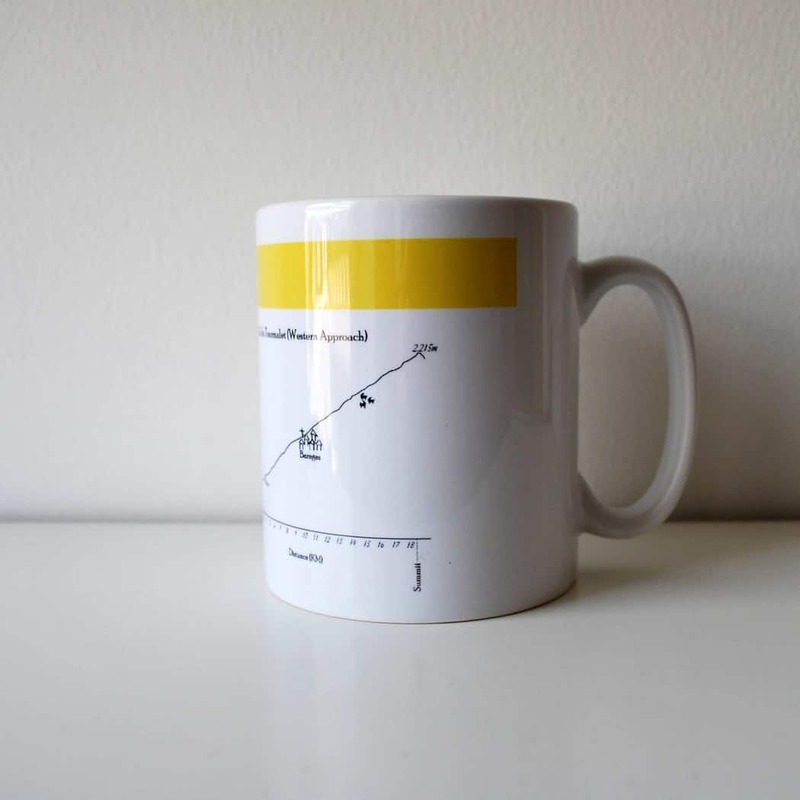 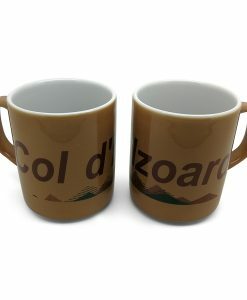 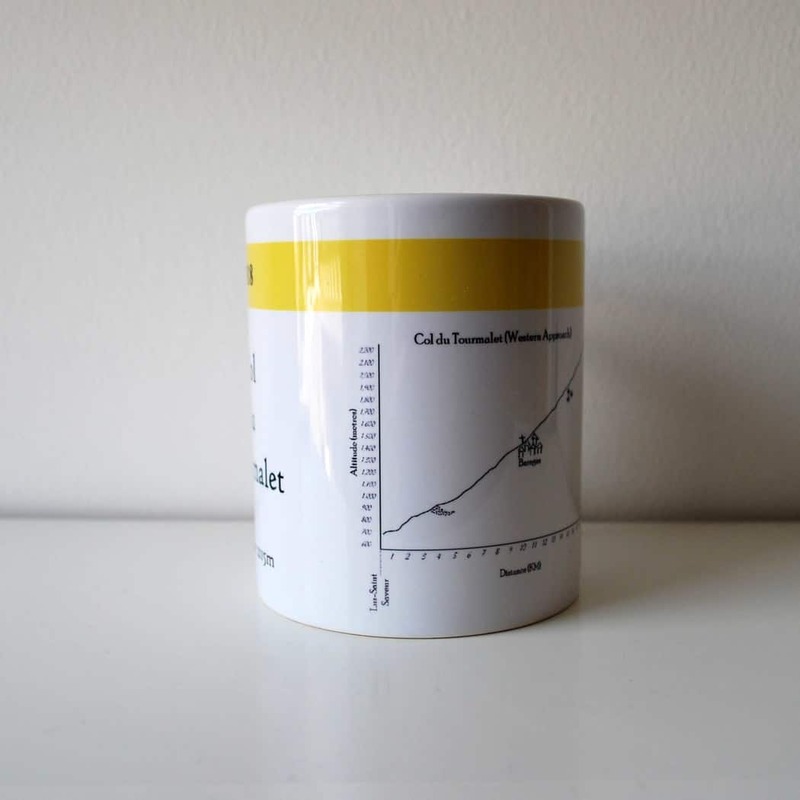 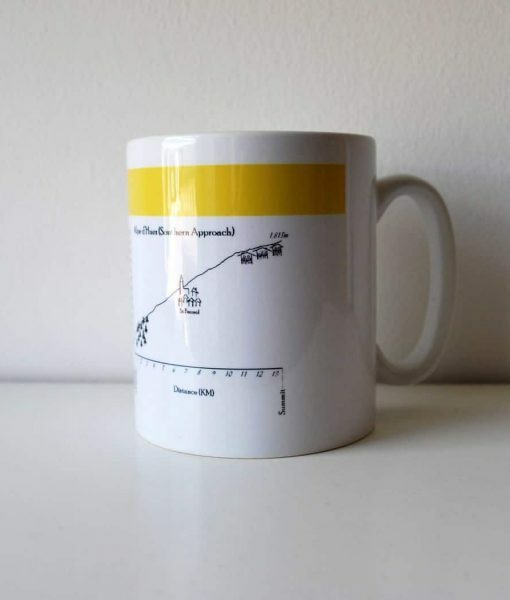 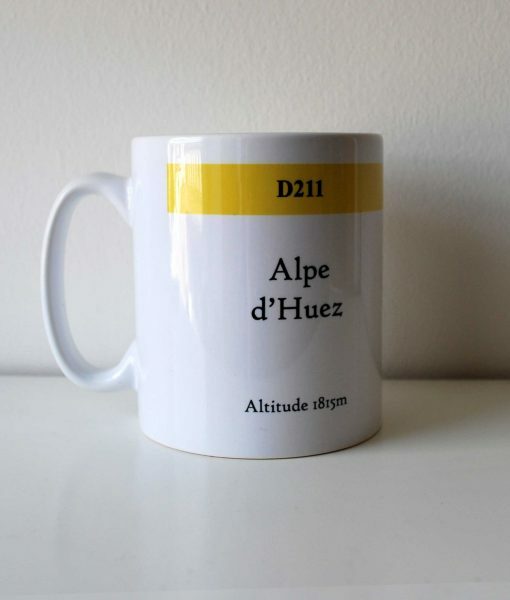 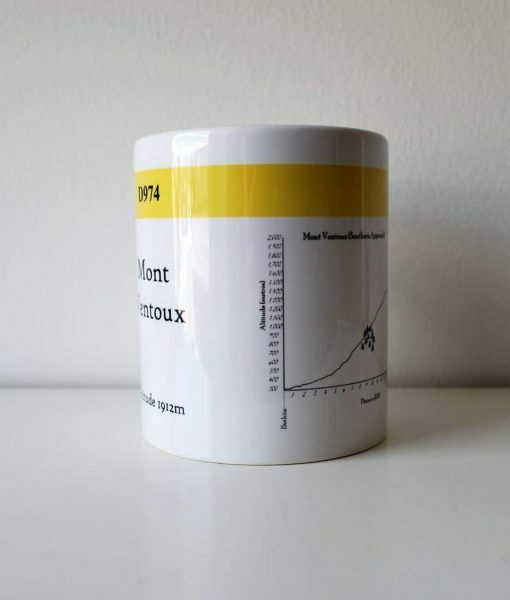 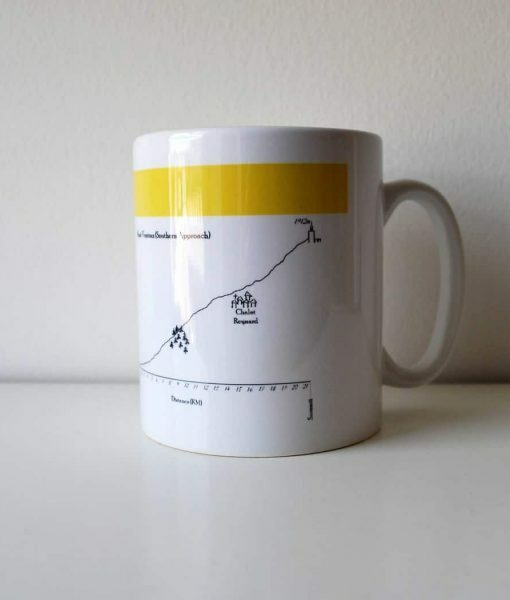 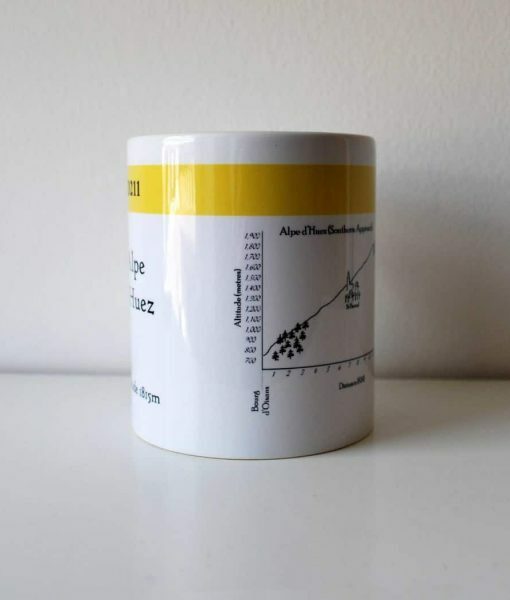 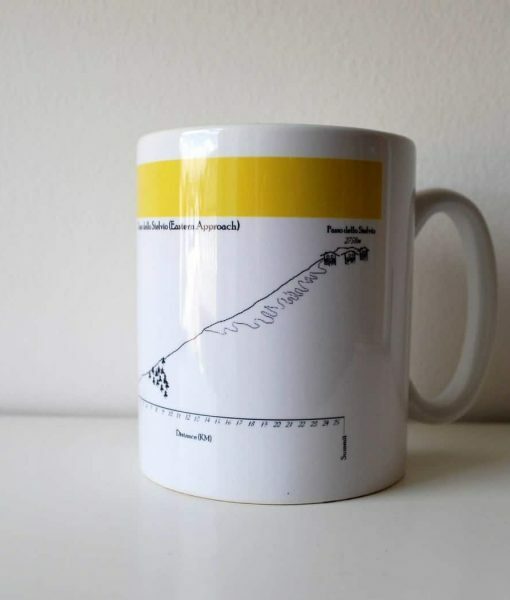 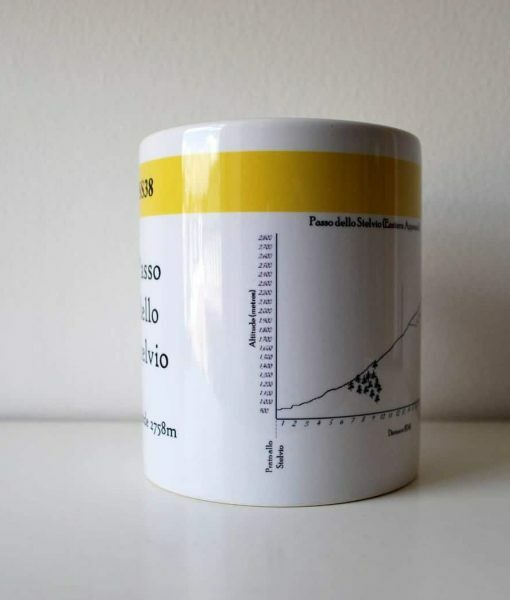 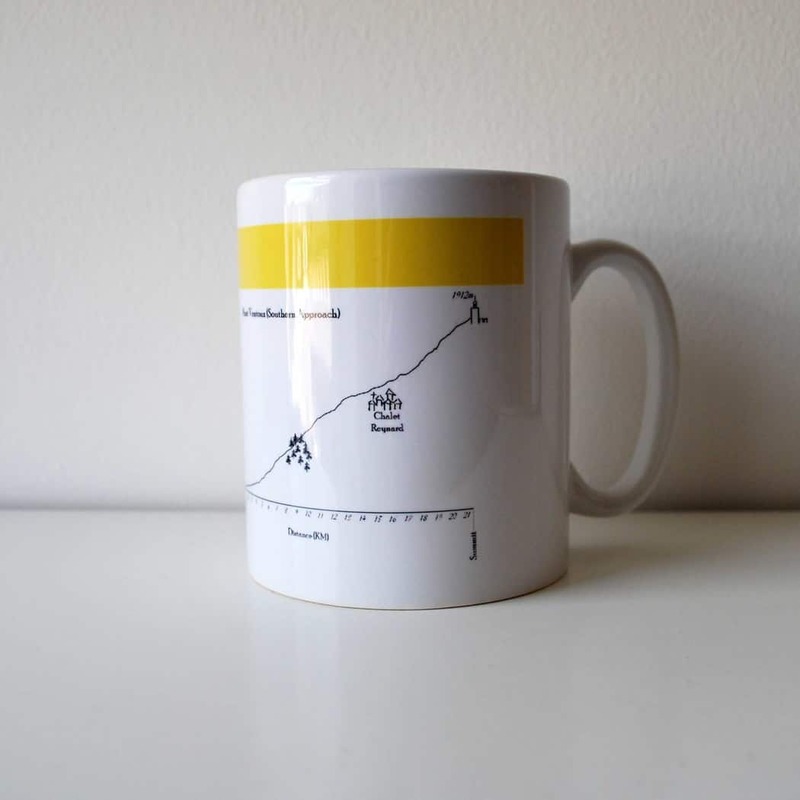 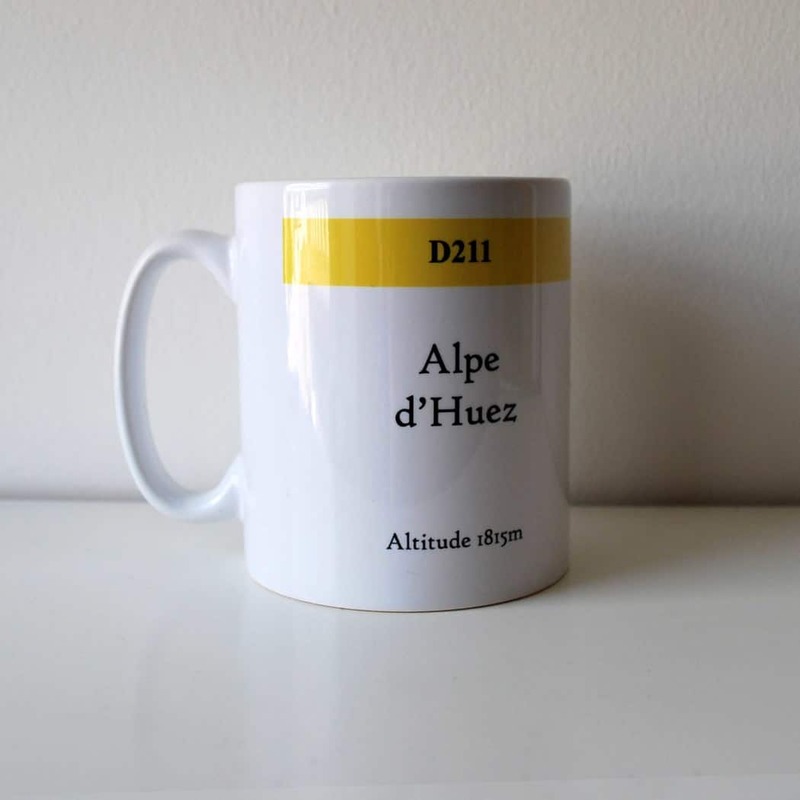 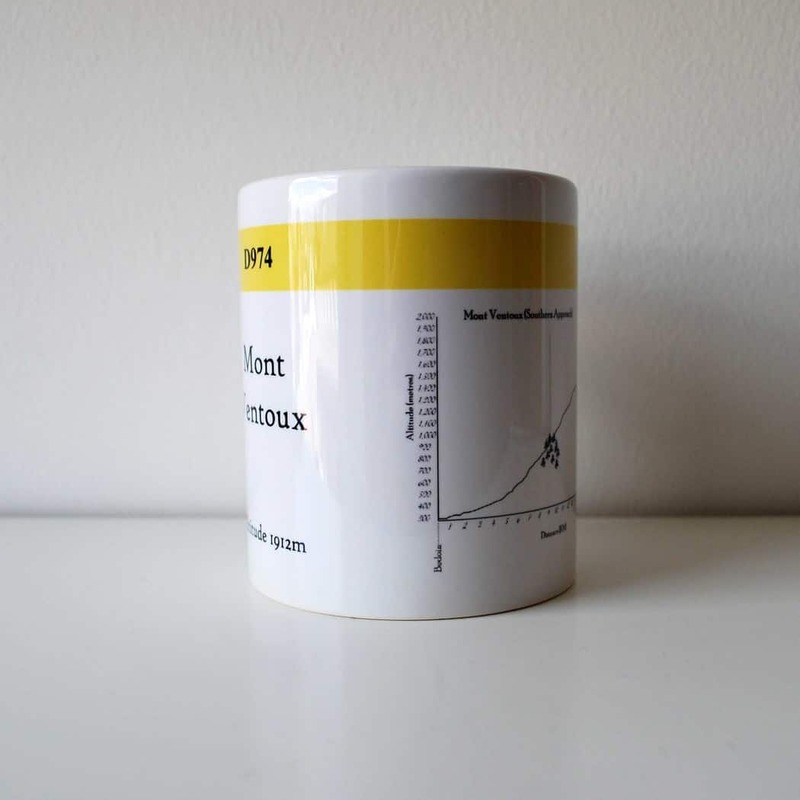 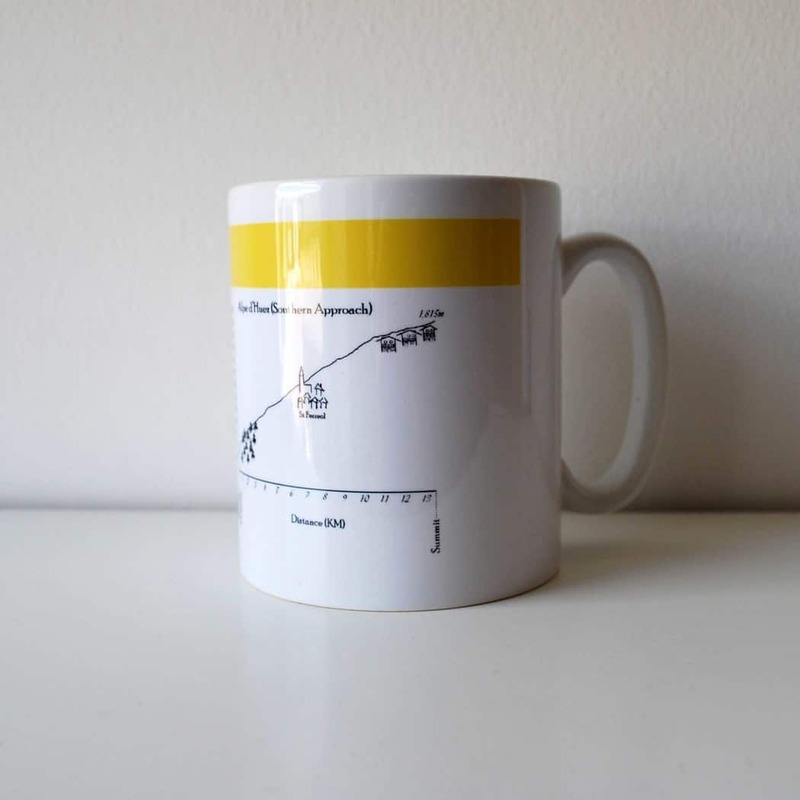 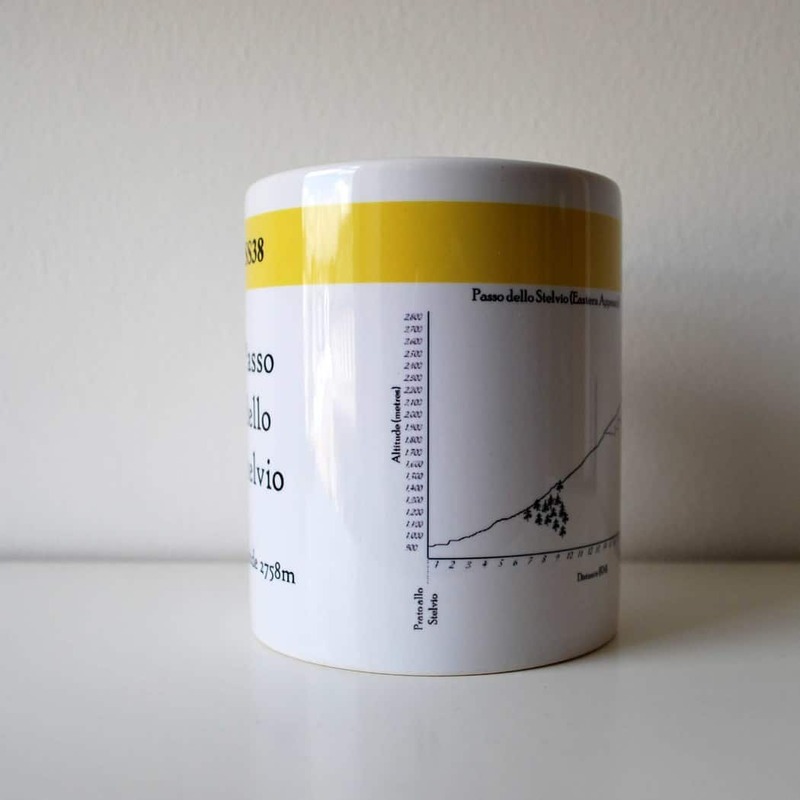 Like our KM Model Markers, these mugs?feature the climb name, road number and altitude. 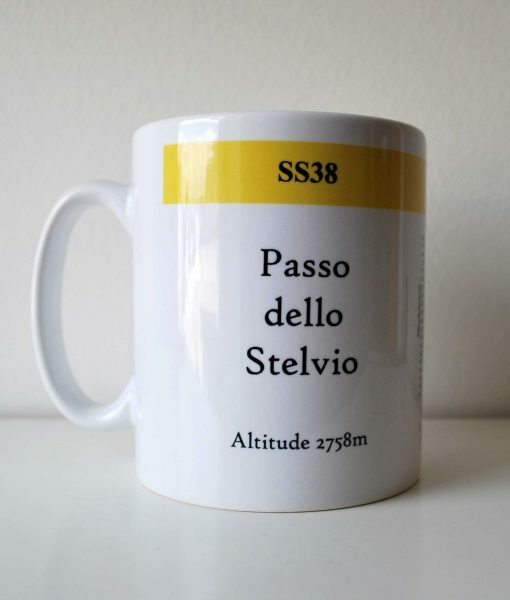 ?Additionally, they show a mini map of the climb on the back, for those of you into extra detail. 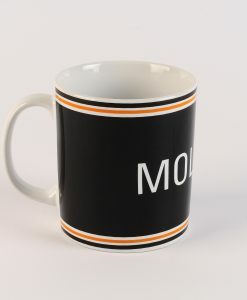 Don?t see the mug?you want? 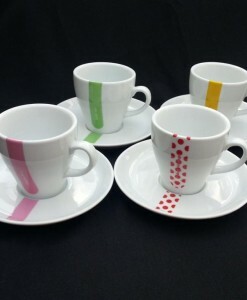 Get in touch we may be able to get some made if the demand is there.